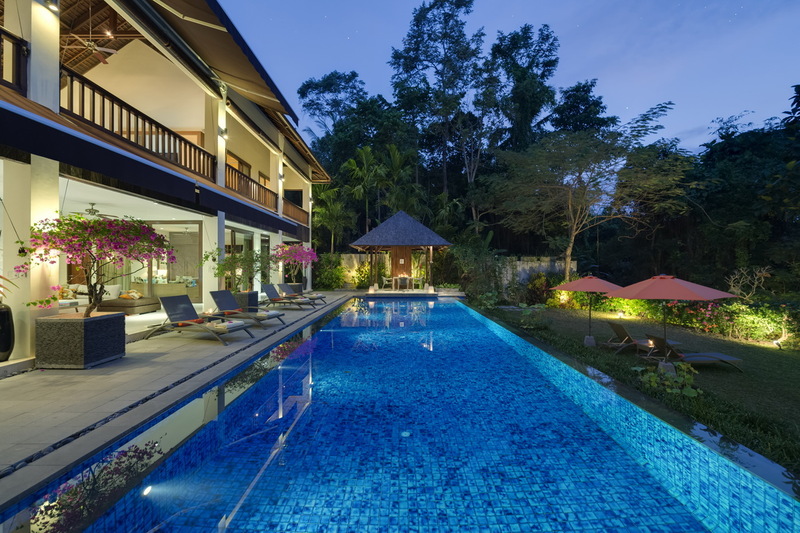 From $ 663AUD per night We have direct contracts with most villa owners. We don't add any booking fees. We are 100% transparent with no nasty surprises. 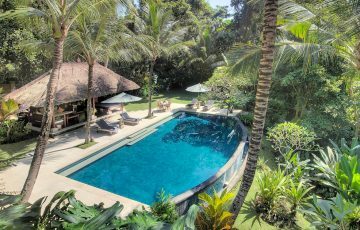 If your looking for a tropical oasis in the most amazing Balinese setting then this villa is a MUST SEE! 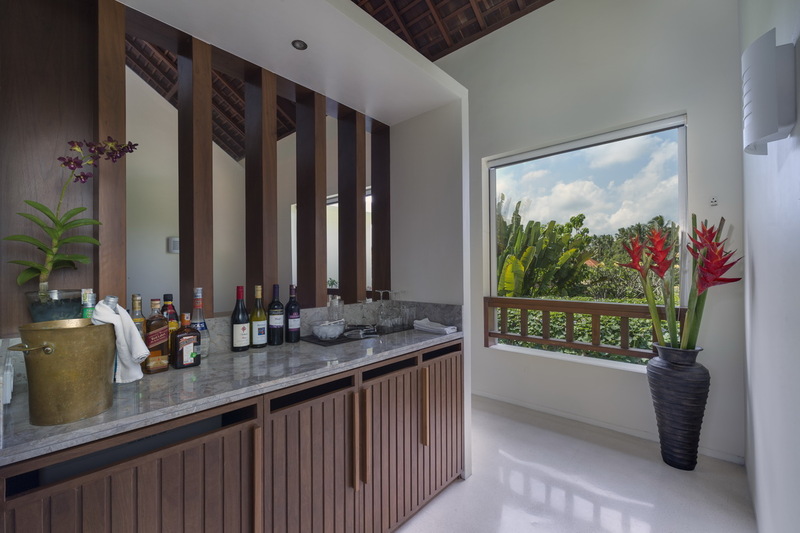 Villa Shinta Dewi is a 4 bedroom Ubud villa holiday rental and is the perfect Bali escape for those seeking complete peace and tranquility to recharge the batteries. 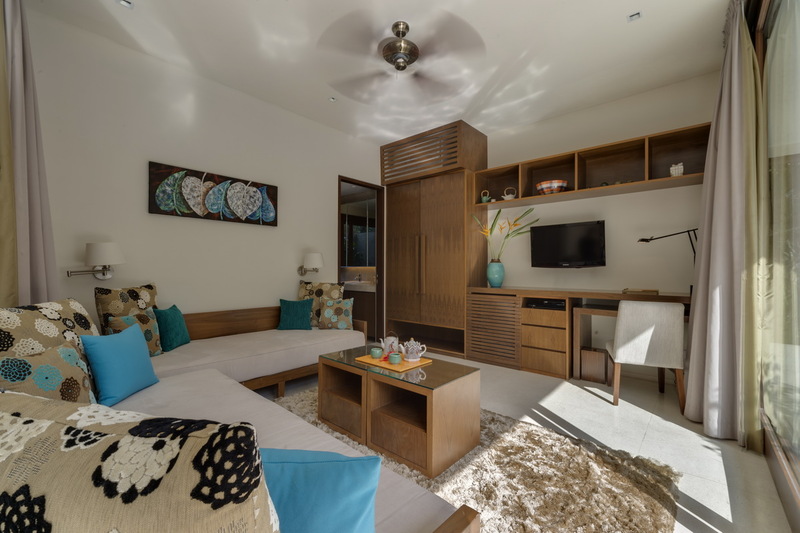 Featuring contemporary design and built over two levels this four bedroom villa offers every modern amenity you could wish for. 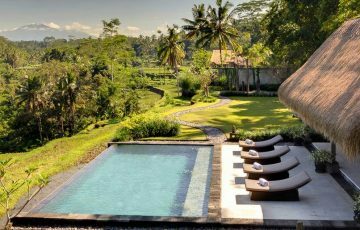 With a central Ubud location guests can easily explore all the sights and sounds of peaceful Ubud, from art galleries, to temples, restaurants and cafes, Ubud has so much to offer travelers wanting to experience the cultural heart of Bali. Just off the open-air living area a huge 16 metre pool runs across the front of the villa, ideal for some early morning laps or cooling off after a long walk around the local village. 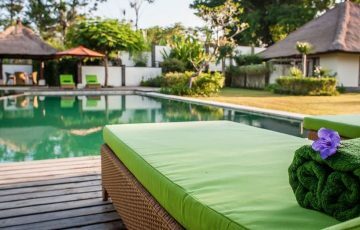 A bale at one end of the pool is great for outdoor dining or simply relaxing throughout the day. 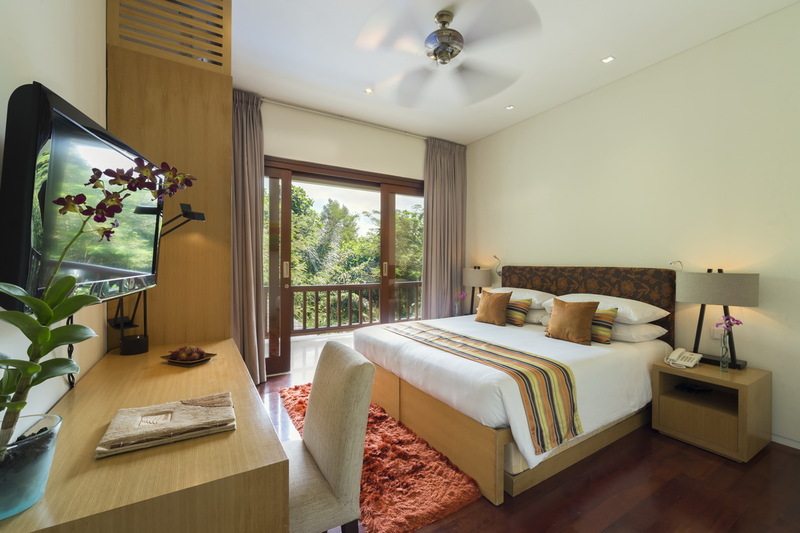 The infinity pool offers great views of the tropical forests that encase the outdoor space and the sound of soothing water from river below adds to the ambience. 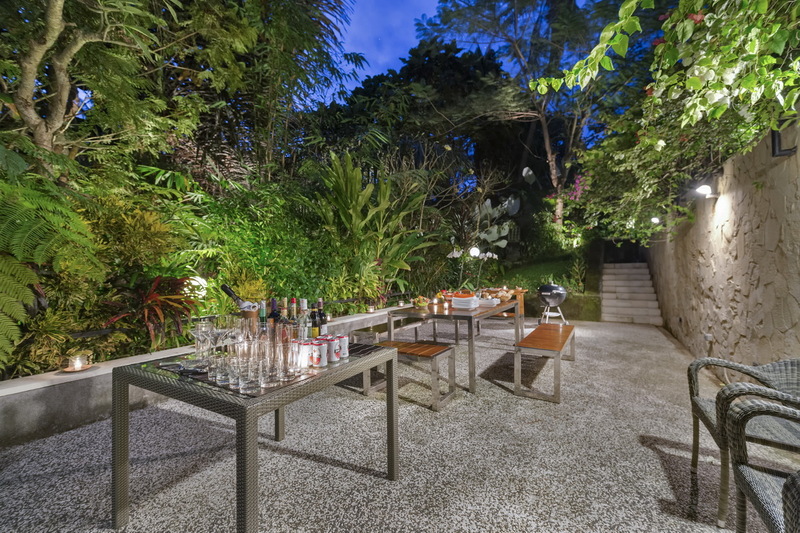 A grassed area below the pool is great for the kids to run and play and a third lower level is set, ready for lunchtime BBQ banquets or maybe dinner under the stars. 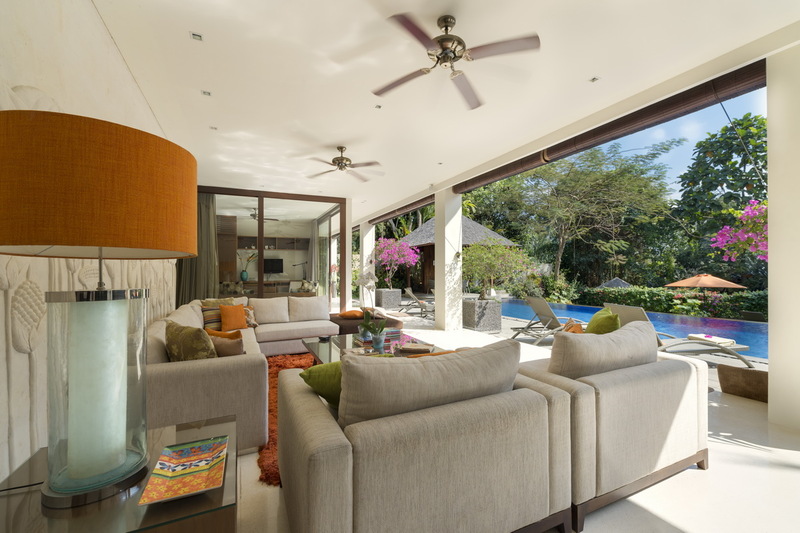 The open plan living area affords lovely views across the pool to the tropical backdrop, open-aired the space is cooled with ceiling fans offering modern design flare. 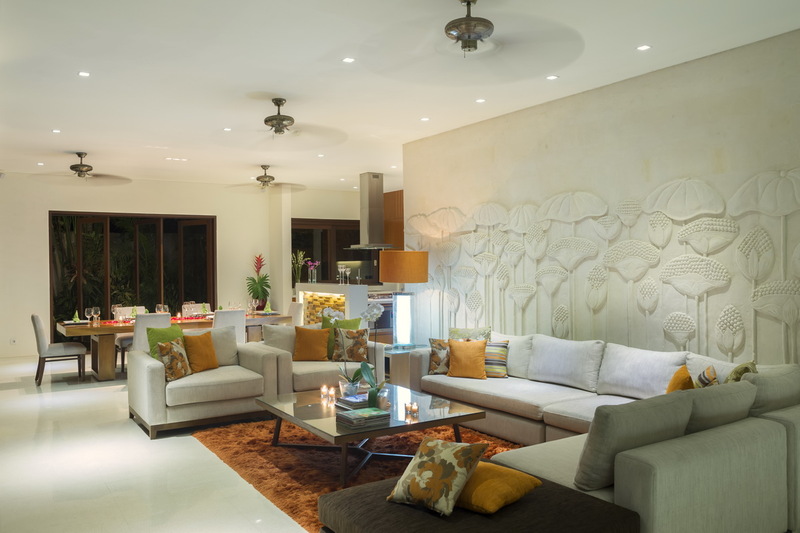 A huge sofa wraps around a plush floor rug and the wall features an intricate stone carving. 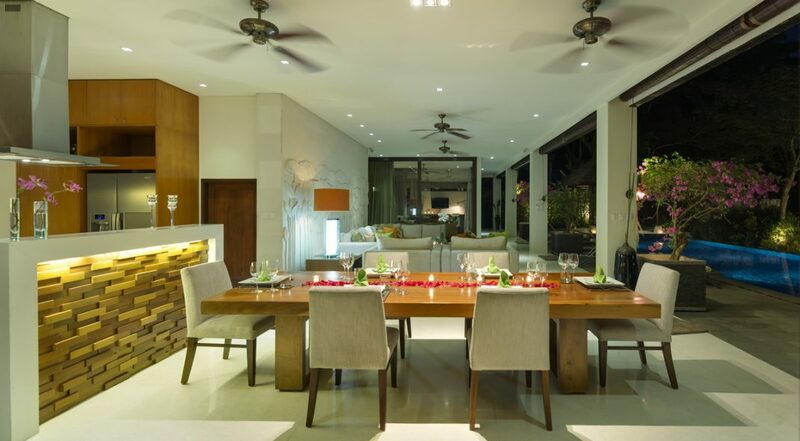 The Suarwood timber dining table is ready for banquets, accommodating up to 8 guests. 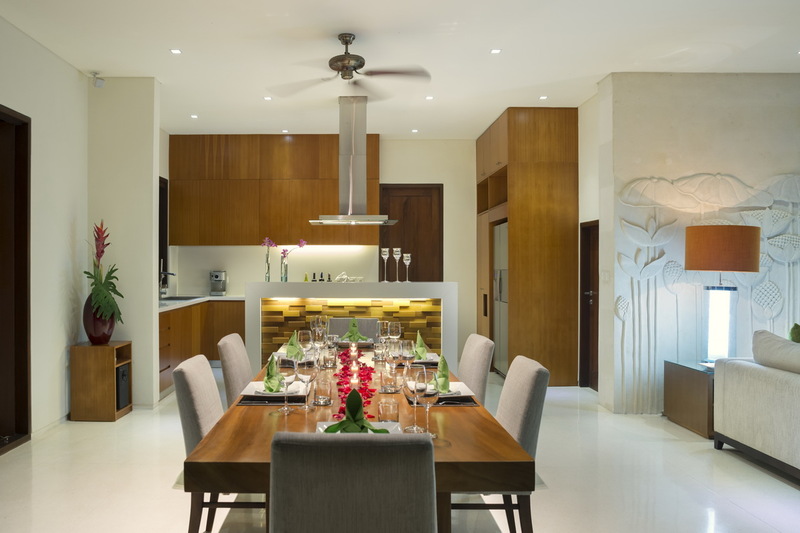 There are two kitchens, one fully packed with every modern appliance needed and the second is where the chef constructs elegant meals of local and international fare. 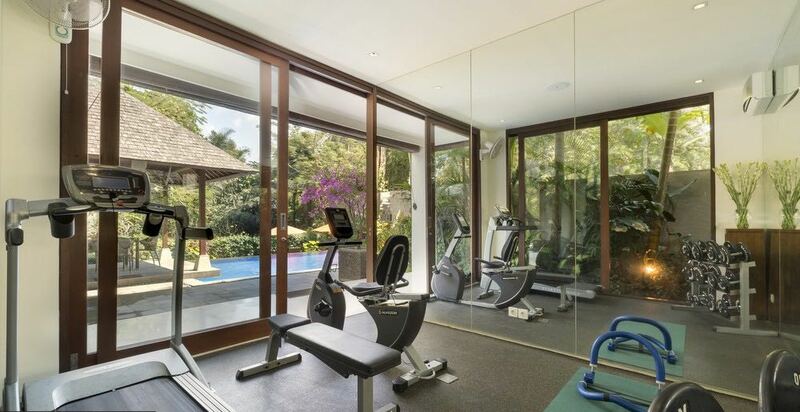 At the end of the open plan living area is a fully air-conditioned study come media room with its own en-suite and also a well equipped gym and private massage room. Upstairs is a fan-cooled media room with a huge 50” satellite channel TV and DVD player. 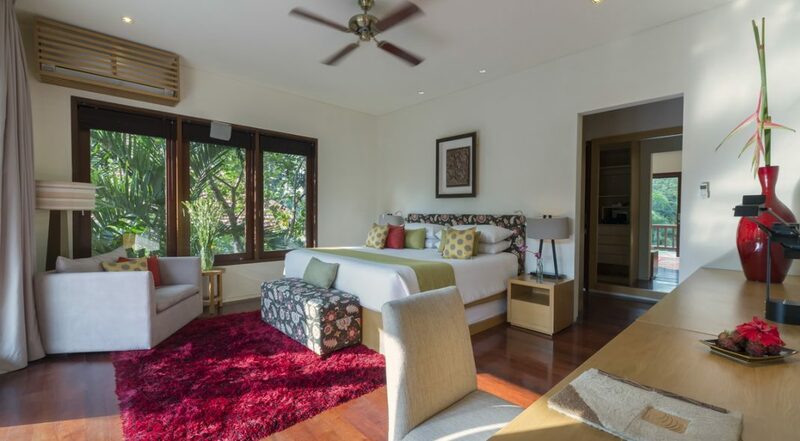 Upstairs the master suite features premium king size bedding with lots of colorful cushions, plush armchairs, a rich burgundy floor rug and a writing desk with plenty of built in wardrobe space. 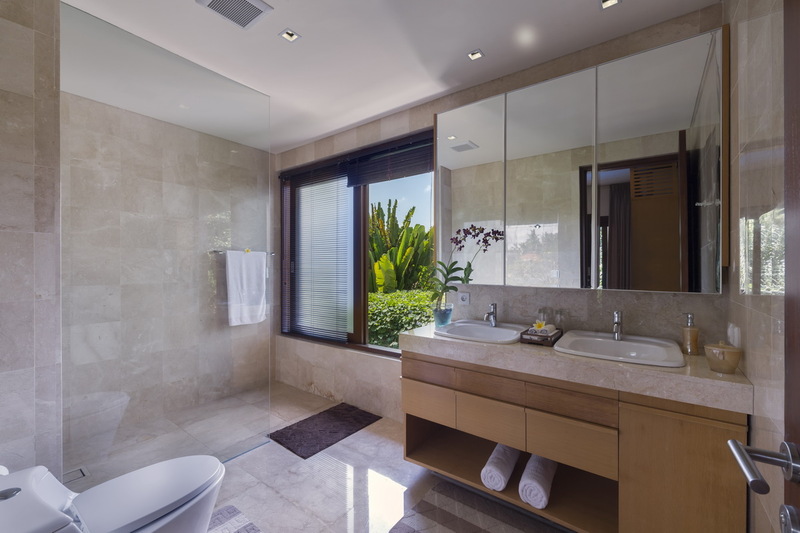 Large sliding doors open onto the balcony with gorgeous views of the tropical rain forest and the large en-suite features a great built in soaking tub for long languid baths. 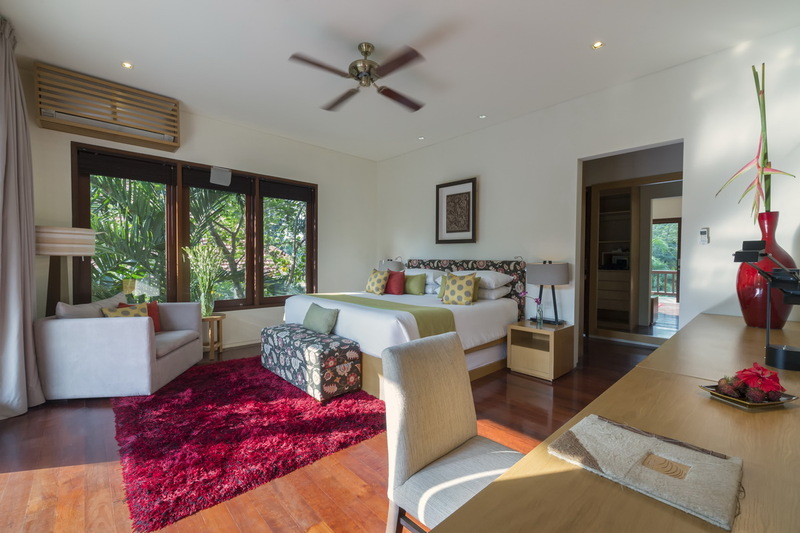 The three guest suites are air-conditioned with fans as it’s often the case the nights are lovely and cool in Ubud not warranting the use of air-conditioning. King size bedding can easily be converted to twin beds and all feature 32-inch satellite channel TVs, DVD players, a bar-fridge and safe deposit boxes. 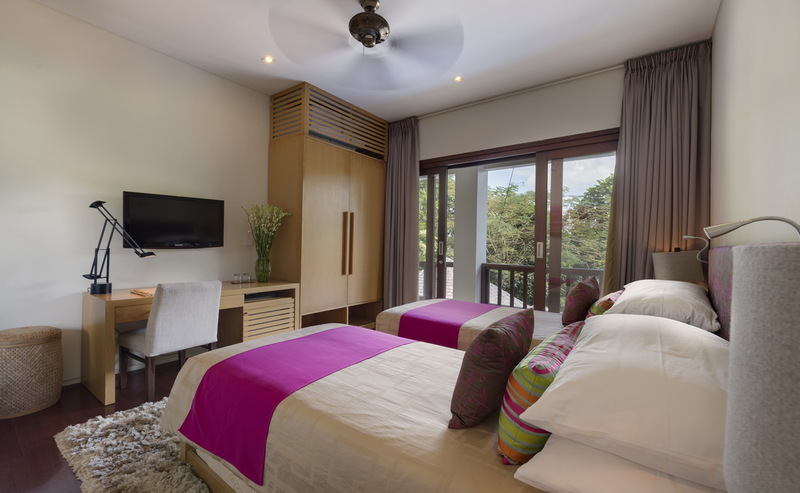 The garden suite is a self contained bedroom which can be converted to an air-conditioned media room. 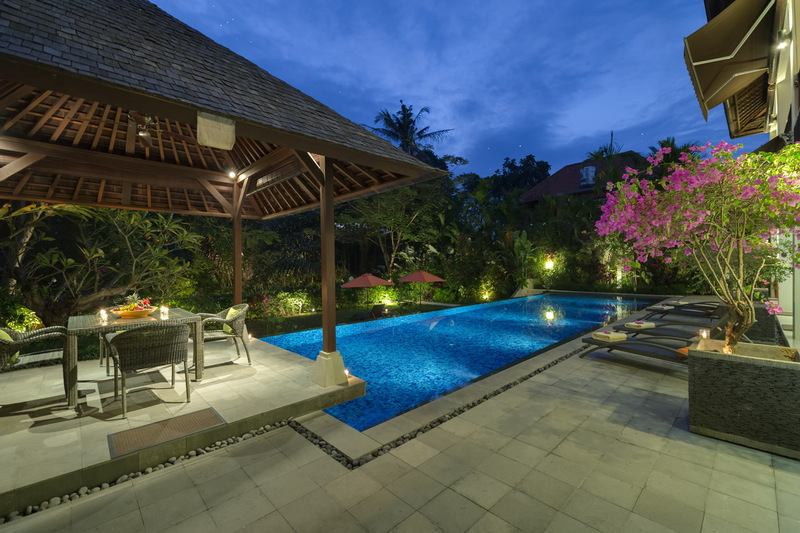 Villa Shinta Dewi is fully staffed with butlers, maids and security guards. 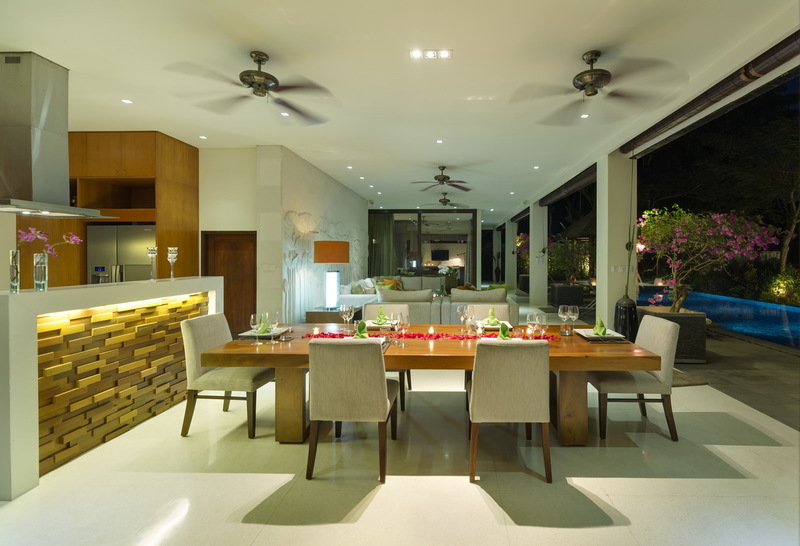 A master class chef can be requested to dazzle you with opulent dining experiences or a casual BBQ feast. 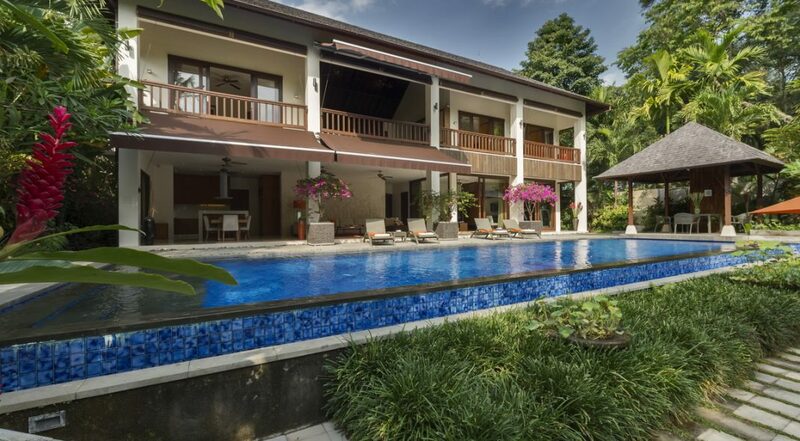 The villa has a free shuttle bus service that can take you to Ubud’s city centre. If you need a babysitter or any related services the staff will take care of everything. 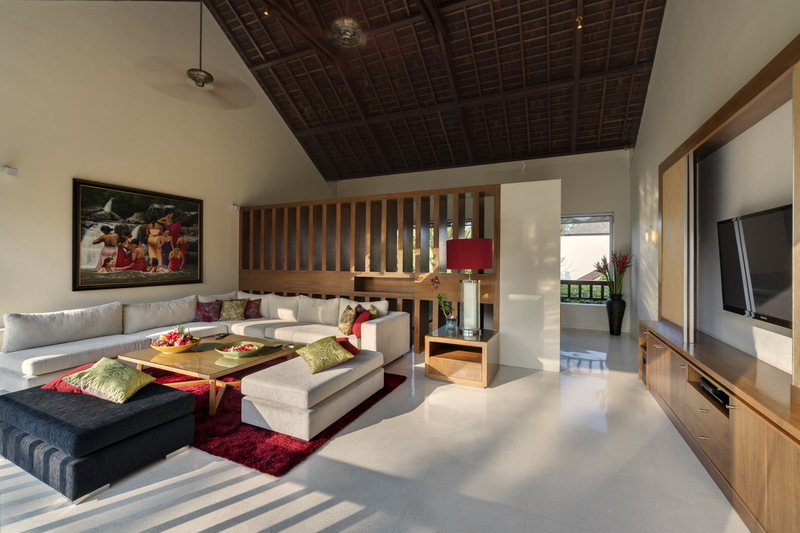 You will find Villa Shinta Dewi in Tegallantang, a rural and rustic village close to Ubud. Take a stroll around the villa and see the local rice farmers ply their craft and work the fields. Chat with the locals and have a great time. There is also several cafes and a little closer to town you can explore an array of museums, galleries, temples, boutiques, restaurants and spas. 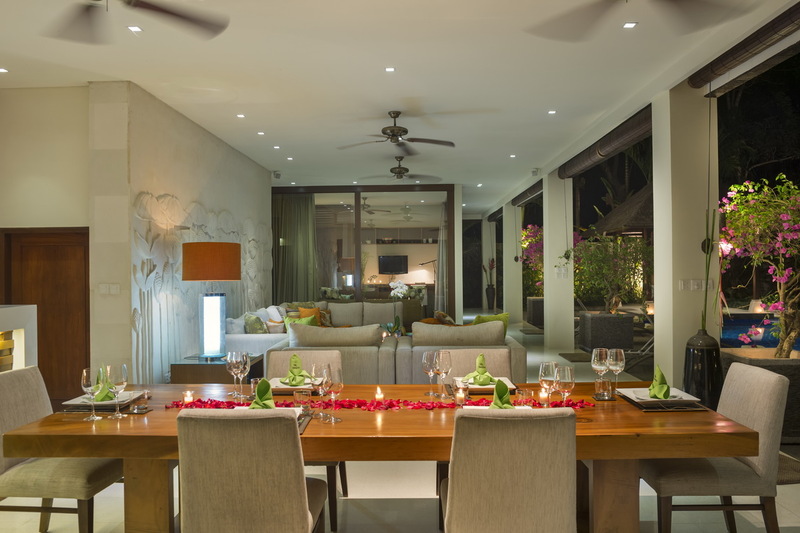 The kids will love the monkey forest and if the adults want to experience an amazing fine dining experience head to Mozaic, a famous award winning restaurant or CasCades at the Viceroy. 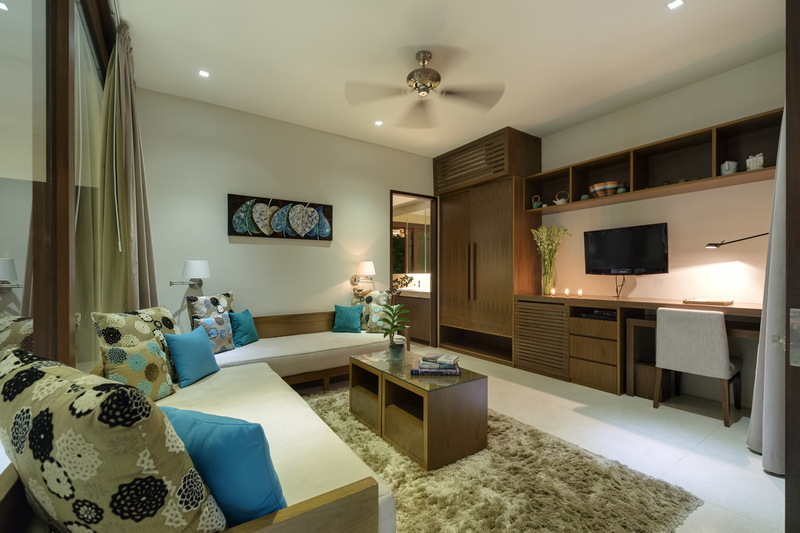 If you would like to see other 4 bedroom Bali villas in other parts of the island or would like to view our full range of Ubud villas please browse this website or contact our reservation team. 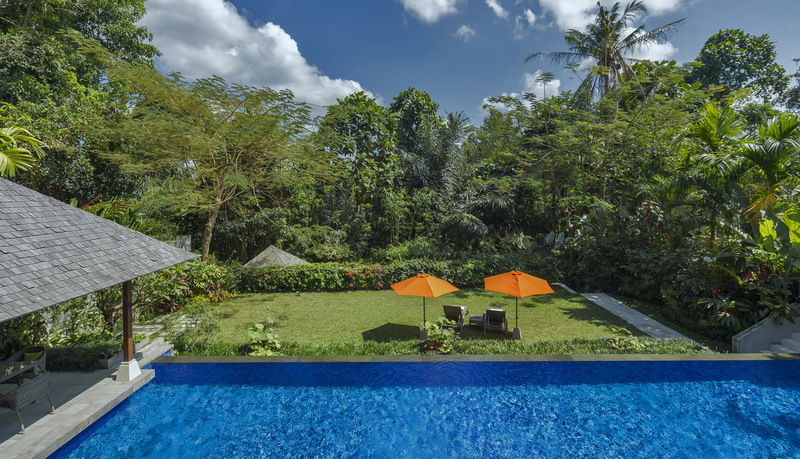 Book your Ubud holiday at Villa Shinta Dewi well in advance as this is a popular villa, especially if your planning a trip to Bali during the Australian school or public holidays. Twin bed, en-suite bathroom with shower, towels, air conditioner. 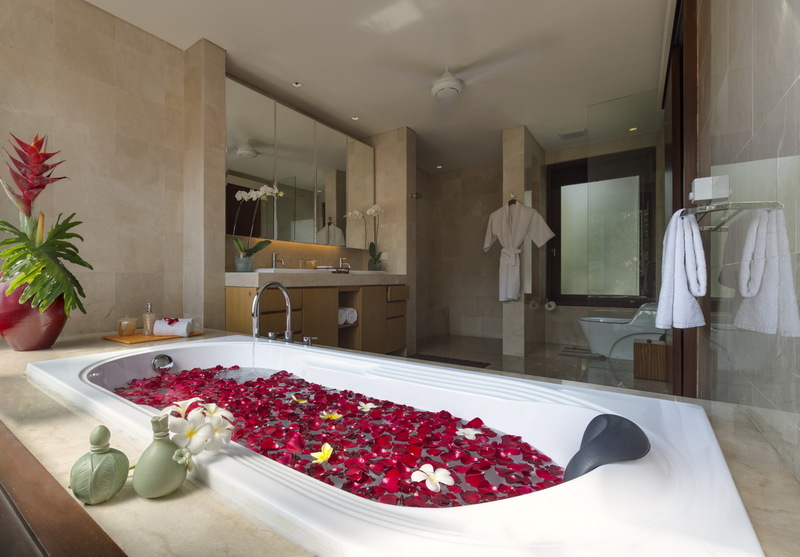 This villa was serious luxury and what made the experience even better was the attention we were given by the most amazing villa staff who were so polite and friendly - nothing was too much trouble for them. Thanks so much Wayan!! 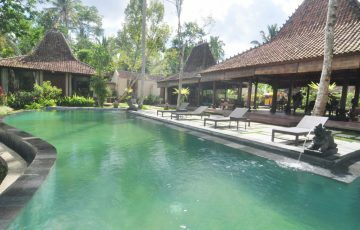 The location of the villa was a real bonus as well as it was in a really quiet area yet getting to Ubud central was really easy with the free transport which we used every day. We loved wondering the streets and soaking up the fabulous ambiance. 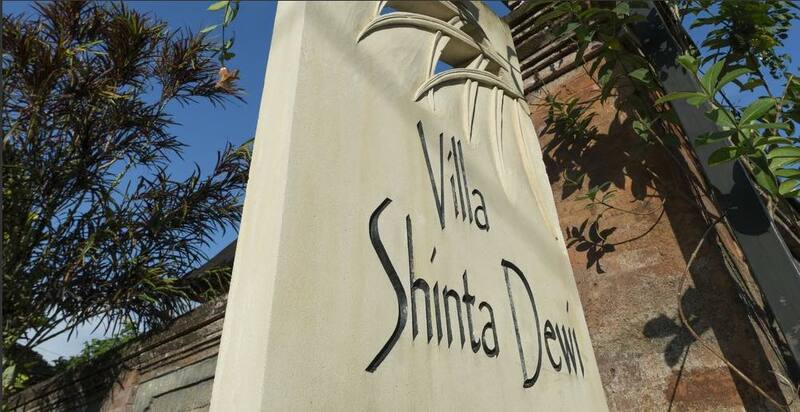 In terms of value for money, location and villa facilities Shinta Dewi really ticks all the right boxes and our family highly recommends staying here. Easily a 10 out of 10 from us!! 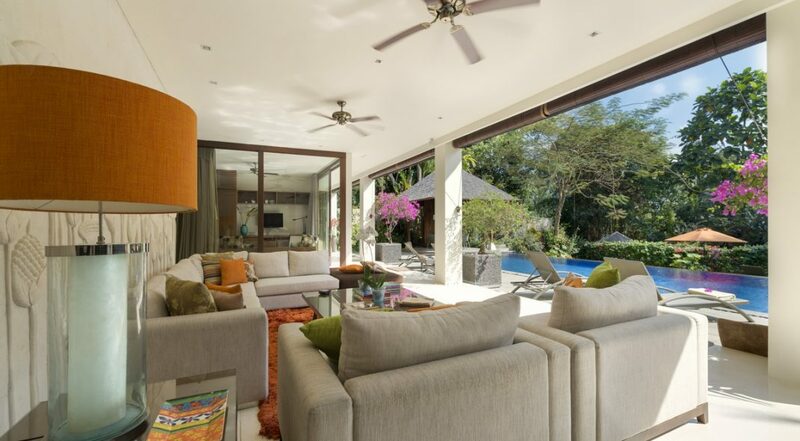 Our group of six stayed at this wonderful villa for 8 days and felt immediately as home from the moment we arrived. We loved the freshly made breakfasts every day and the way the staff interacted with us was perfect. 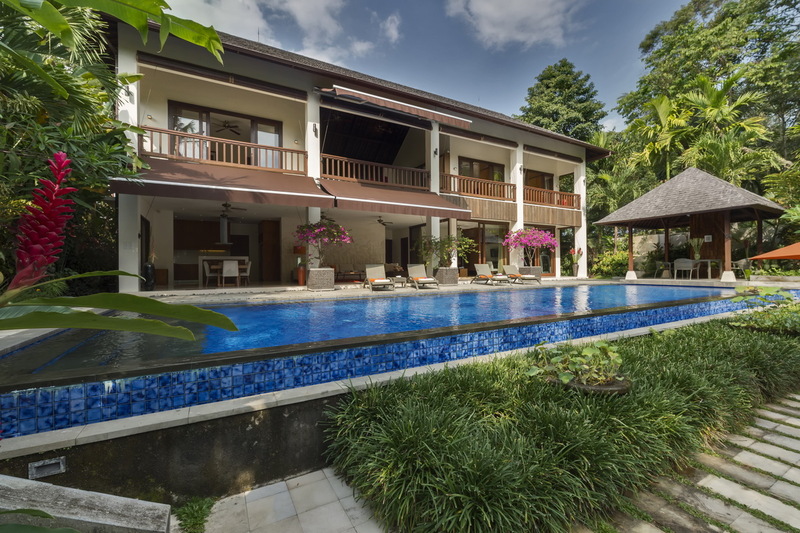 The pool and garden areas as well as the large and meticulously clean bedrooms were all spot on and we cant wait to come back and do it all again. 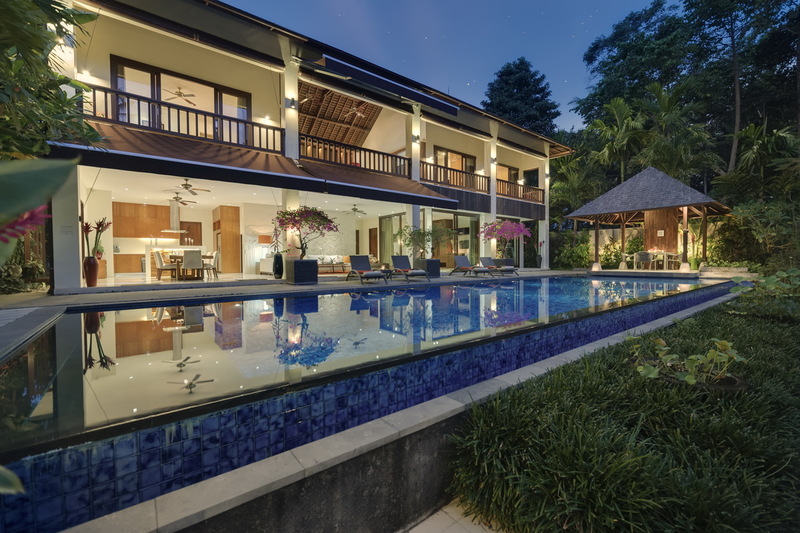 We are ex pats living in Singapore so getting to Bali is really easy - from now on this will be our villa of choice. 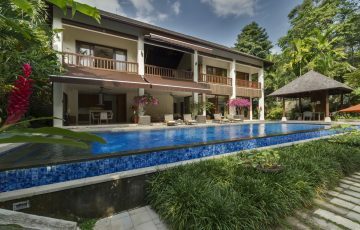 Sublime pool, all matched with the most incredible service from the villa staff and manager Wayan - hes a real character! 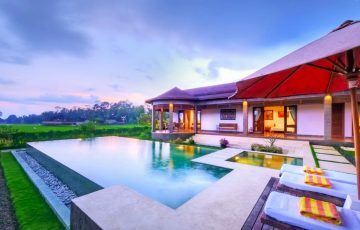 We came to Bali with another family so there was6 of us in total and this villa was perfect for our holiday stay in wonderful Ubud - we split the costs so it ended up being really quite cheap - try it out, you will love it. 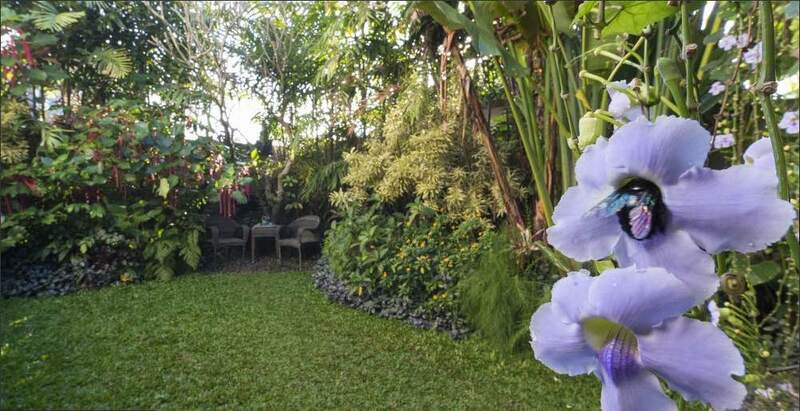 Perfect location in Ubud - you could not want better! Plus the villas presentation was immaculate. Really modern with everything we could have ever wanted to make our stay perfect. The highlight for us was the villa chef who made the most sumptuous Balinese dishes for us and the kids. 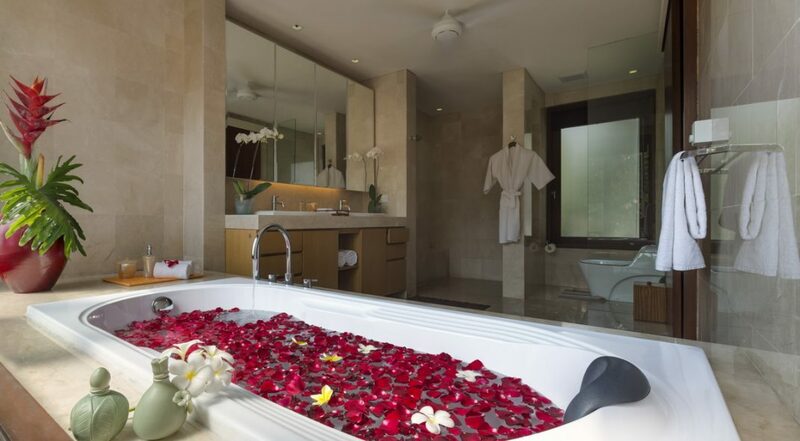 This was a real treat and we felt totally pampered the whole time. 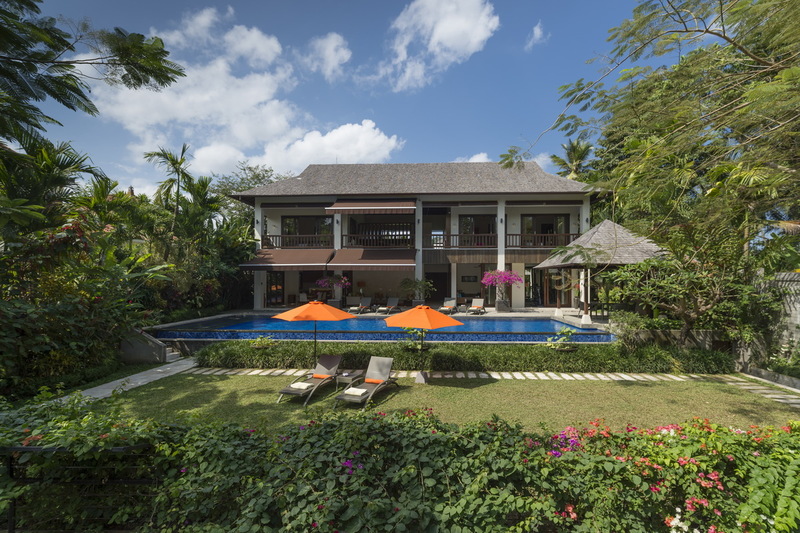 After a long haul flight from the states this villa was exactly what we needed to re energise and enjoy the beautiful Balinese atmosphere - if your looking for sheer luxury that's top value I would be staying at Villa Shinta Dewi! 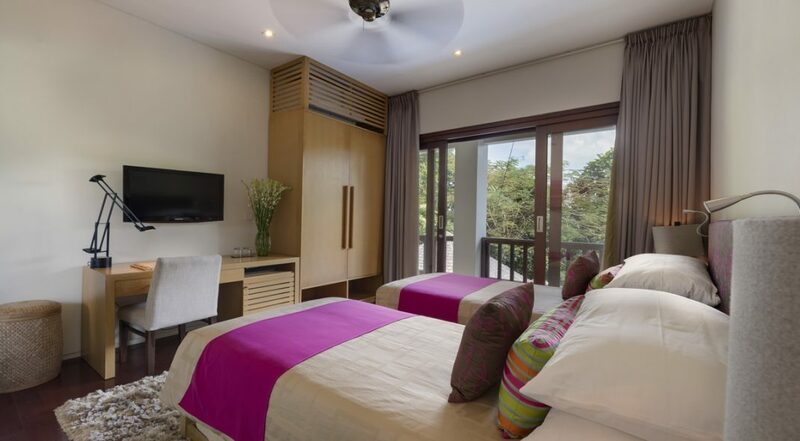 A huge thanks to the team at Bali Villa Escapes ( Yayuk and Ina) for putting up with all my emails and getting back to me so quickly - you guys are the absolute best! 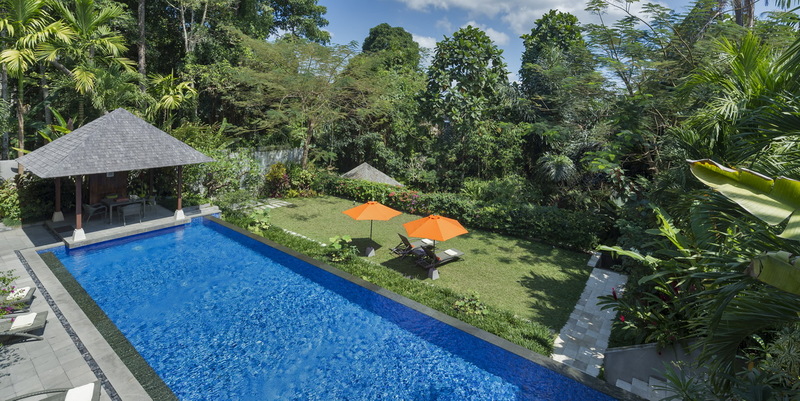 Unbelievably good location in Ubud. The villa staff were so lovely and extremely customer focused. The in house villa chef ( what a treat) made really tasty dishes for the whole family and was more than happy to quickly make snacks for our hungry kids. The price included a villa driver and we used him to take us to the monkey forest and to Sanur for a few day trips. There is a 24 security guard which was really important to us as we are a family with young children. Can't wait to come back again and spend time intros fabulous villa. 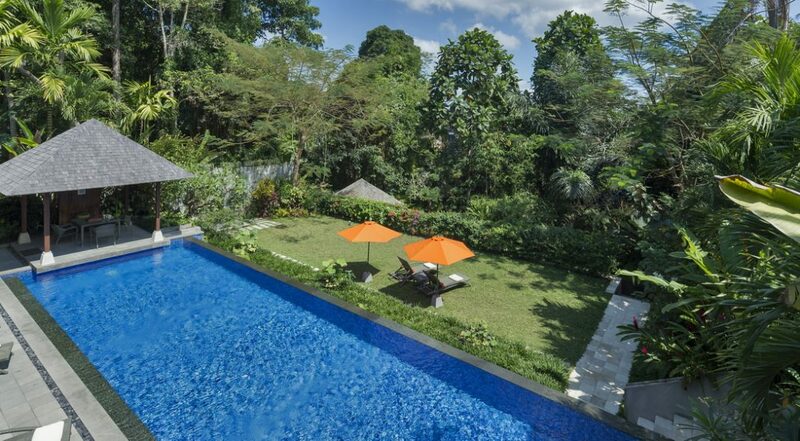 I love Ubud even more now especially when you get to stay in a wonderful villa. Just enjoyed chilling out in the villa and being away from the crowds. 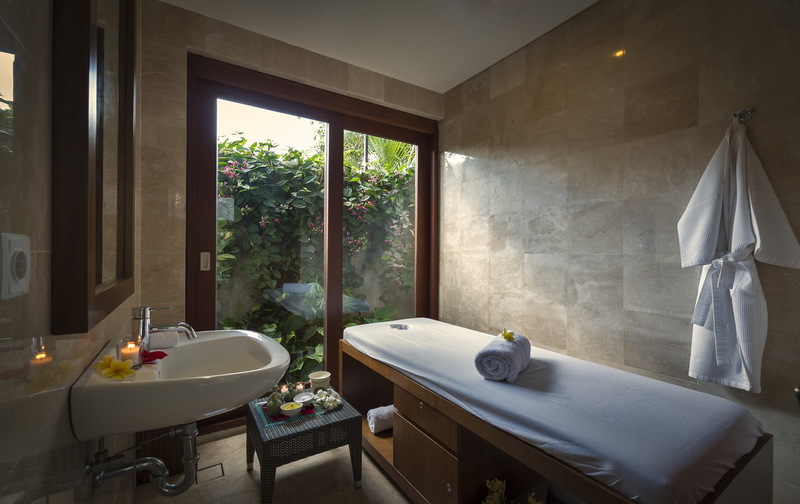 Perfect place to really relax & get away from it all and be totally immersed in Balinese hospitality.